You would think that your biggest concern walking on the busy streets of Dubai is getting hit by a car or other type of transport vehicle; not so for Peter. Peter, a Kenyan, had been working as a security guard in Dubai for just six months when he tripped on the side of the road and fell. At first he didn’t think anything of it, but over the next three days, his leg began turning black and pain shot up his leg. Finally, he went to the hospital. By this time, the tissue below his knee was dead and the only option was amputation above the knee. After about a month, he was released from the hospital but the security company he was working for told him that he was no good to them without two good legs and told him to return home to Kenya. When he got back to Kenya, many in the community helped him but his wife left and refused to see him. After the wound on his leg healed, the community came together to help him get a prosthetic leg to walk. His first prosthesis was an ottobock, but only allowed him to walk with elbow crutches and started wearing out after only 6 months. 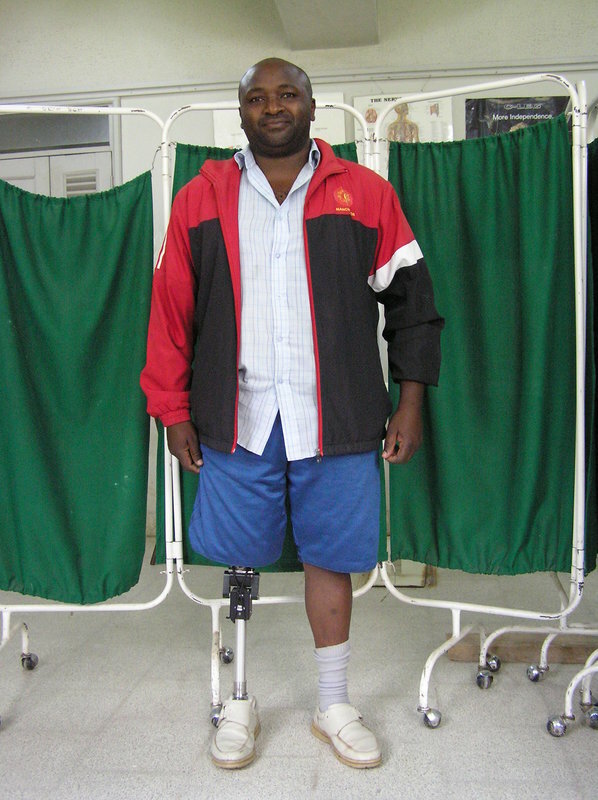 The future got a lot brighter for Peter in April 2014 when he received the LIMBS polycentric knee system. He hobbled in with his old prosthesis and WALKED out with the LIMBS one. After only 3 days, Peter no longer needs crutches to walk and hopes to start his own business, move out of his parents’ house and become independent in his new found mobility!